First, the new operating concept of Secura® will noticeably ease your daily workload during weighing and, second, its APC function – Advanced Pharma Compliance – will relieve you from tedious and time-consuming documentation and monitoring tasks. Secura® has an optoelectronic sensor that continuously checks to see if the balance is perfectly level. If it detects any outof- tolerances, you will be immediately alerted to this pending risk and see specific guidance prompts to help you level the balance. Output of the weighing data over the interface port will be temporarily interrupted until the balance has been correctly leveled again. Do you need qualification documents as proof of suitability to be able to use your Secura® in a regulated area? Sartorius Lab Products & Services will support you by providing trained specialists on site. We will generate the documents you need according to risk-based test plans and test reports for installation and operational qualification. Compliance with the USP minimum sample weight requirements with absolute process reliability? No problem for the new Secura®. Our specially trained service staff will determine the minimum sample weight for you right at the balance’s site of installation, program it into your Secura® and attach a corresponding verification seal to the balance. Secura® features a Cal Audit Trail function to document the quality of each weigh-in procedure you perform. Each adjustment procedure, including any non-conformities, are recorded by the balance, can be viewed on the touch screen and, if necessary, can be transferred over the balance’s interface to a computer or to a Sartorius laboratory printer. 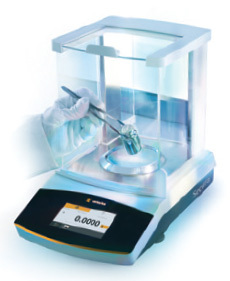 Temperature fluctuations have an influence on the accuracy of your weighing results. This is why every Secura® comes equipped with the internal adjustment function isoCAL that ensures consistently accurate results. Secura® can be configured to prompt you to launch this procedure or to have isoCAL take care of this as soon as an activation threshold is reached. 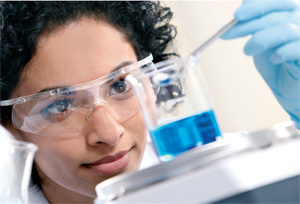 Cleanliness is one of the main prerequisites in the laboratory to prevent contamination and ensure work area safety. That’s why Sartorius placed a premium on designing Secura® to enable easy and thorough cleaning. Sleek, resistant surfaces plus clear contours and few edges ensure that Secura® will help you stay compliant with all hygiene requirements. Secura® comes with password protection to restrict adjustment of the balance settings only to authorized persons. If you set a password, all functions that could change the metrological performance specifications are inactivated. If you require traceable documents, Secura® will guide you through the steps for obtaining GLP- | GMP-compliant printouts. The novel user guidance will support you especially for working with traceable sample identification. Used in conjunction with the new premium YDP30 laboratory printer, which is automatically detected by Secura®, the balance generates printouts of the results on standard printer paper or on continuous labels.